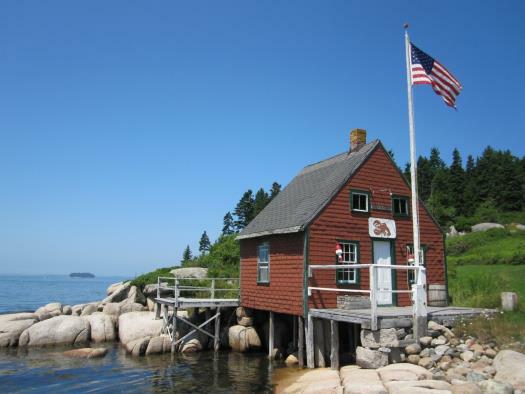 Welcome to Becks Camp – this treasured family cottage overlooks Pressey Cove and Penobscot Bay. 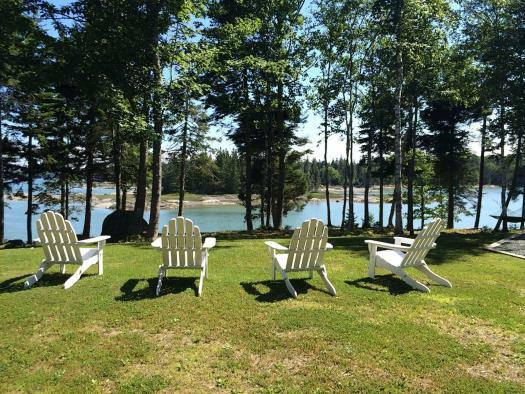 If you are thinking about a vacation in Mid-Coast Maine then this property is a great one. A nice yard, a wrap around deck with many comfortable furnishings as well as a gas grill and a spacious, well-kept contemporary cottage make this setting incredibly inviting. 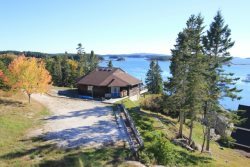 Becks Camp is a four bedroom, three bathroom home in the Pressey Village section of Deer Isle, which is a quiet, off the beaten path location. This spacious oceanfront retreat is a classic Maine family summer house – lovingly maintained by a dedicated family – the house feels just right...clean, comfortable, functional and charming. The home has a very nice kitchen with all the small appliances and cutlery that one would need to create any meal. Off the kitchen is a small family room with some comfortable seating and a sliding glass door that opens to the large wrap around deck. The master bedroom is also located in this section of the house. The bedroom has a queen sized bed, a closet, a dresser and its own full size bathroom. This section of the home has a heat pump which is good for cooling in the summer and heating in the spring and fall.The second bedroom has a full size bed, a dresser and closet. There is a second full bathroom next to this bedroom. Becks Camp continues into a formal dining and living room area. Soaring cathedral ceilings, a spiral staircase and a glorious sunroom with comfortable furnishings and views of Pressey Cove and beyond to Penobscot Bay are a few of the special features this Great Room has to offer. The cottage enjoys western exposure so the sunsets from this location are beautiful. The sunroom brings you out to the wrap around deck that curls that whole way around the waterside of the property. The spiral stairs lead up to an open loft/office area. The loft extends to two additional bedrooms and a 3/4 Bathroom. The first bedroom has a full bed and great views of the cove below. 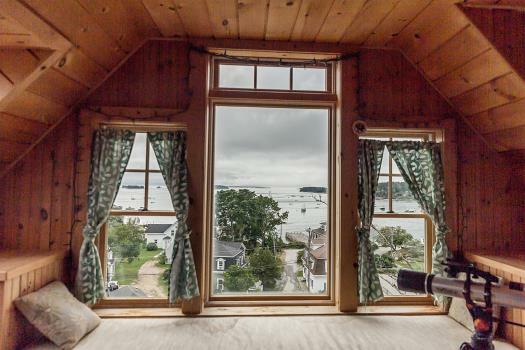 The second bedroom is equipped with two full beds and also enjoys views of Pressey Cove. 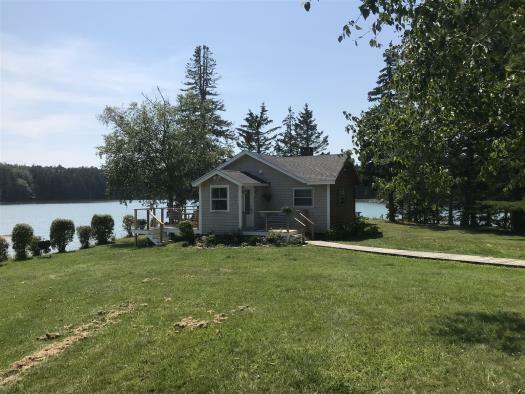 If you are looking for a spacious waterfront cottage in an off the beaten path setting then Beck Cottage may be just the spot for you. Please inquire today for more information about this charming seaside cottage. Becks Camp does have private systems (well and septic) so the homeowners are most comfortable with no more than six visitors on site during a tenancy. 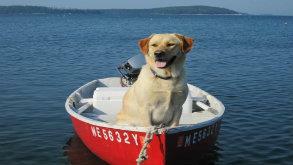 The home does offer a pet friendly environment and a strict no smoking policy. We appreciate all guests respecting these home policies. 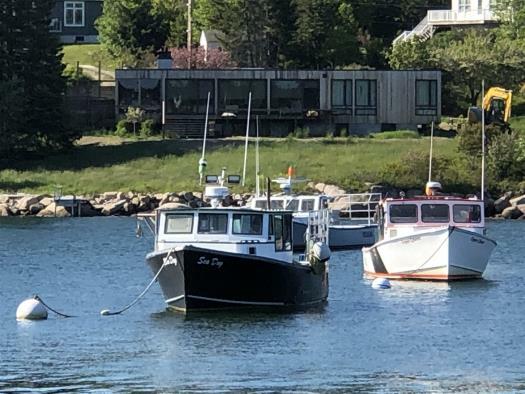 Amenities: Seating on Wrap Around Deck, Satellite TV, Wireless Internet, DVD, Washer/Dryer, Dishwasher, Air Conditioning in Kitchen and Master Bedroom and Second Floor Bedrooms. Becks Camp in Deer Isle is truly a magical place. Watching the tide go in and out, kayaking, exploring tide pools, eating all our meals on the porch...we cant wait to return!